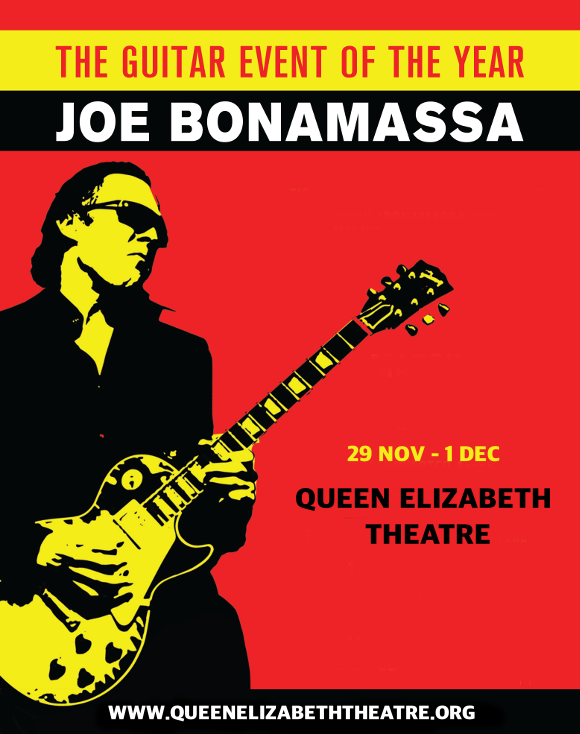 Blues and rock fans, are you ready for the unparalleled talent that is Joe Bonamassa?? The guitar virtuoso is headed to the Queen Elizabeth Theatre for a special 3-night run starting Thursday 29th November 2018!! It’s going to be an incredible experience – book your tickets early to be sure of your place at the concert!! A prodigious musician, Joe Bonamassa started playing guitar aged four and by the time he was 12, was performing as the opening act for the legendary BB King!! Joe Bonamassa’s last solo album was “Blues of Desperation” was released in 2016, and charted in the top 5 of the Top Rock Albums chart, and hit No. 1 on the blues Blues Albums chart. His most recent album, “Black Coffee,” released earlier this year, was a collaboration with rock singer Beth Hart, following their album of covers released in 2013, “Seesaw”. Get ready to hear all the new material live – book your tickets today! !